So, you have been in your current home for a while and you are looking for something a little different. Maybe you are starting a family or you recently married and want to build a home together. There are many reasons why people “move up”. No matter what your reasons are for purchasing your next home, there are some things you need to be prepared for. I did touch on some of this information in my previous blog “Buying Without Selling”. So if you are looking to purchase a new home while retaining your current home, please feel free to take a peek at that post, but for right now I’m going to write about selling your current home to purchase a new one! 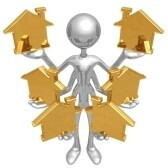 The ideal situation would be for you to simultaneously sell you current home and purchase your new home. This is possible; however the timing is a little tricky. In order to complete this type of transaction smoothly you are going to need a good realtor and loan officer working on your side. In our current AZ market, selling your home before buying can be easily done. Home values are up and inventory is down, so if a home is priced properly you can sell quickly. Many people have been in their homes for about 7+ years and now have just enough equity, if equity was previously an issue, in their home to move up. However, many people choose to take different routes when looking to move up. There is an option known as Bridge Financing and what this entails is technically owning two homes for a brief period of time. Bridge Financing is through a financial institution. You will take out an equity loan similar to a home equity loan but the bank will know it is temporary and the repayment structure will be different. It will not carry an early termination fee like home equity loans. There will be a limit on the amount you can borrow on the current home depending on how much equity there is. This loan will give you the funds to make the down payment and pay closing costs for your new home, then repay the loan once the current home is sold. Generally, bridge lenders give you 6 months for the loan with the possibility of extending an additional 6 months. Payments on a Bridge can be deferred but when applying for the new 1st mortgage; the lender will qualify you carrying quite a bit of debt. I know this sounds a little complicated, but it is actually simpler than you’d think. 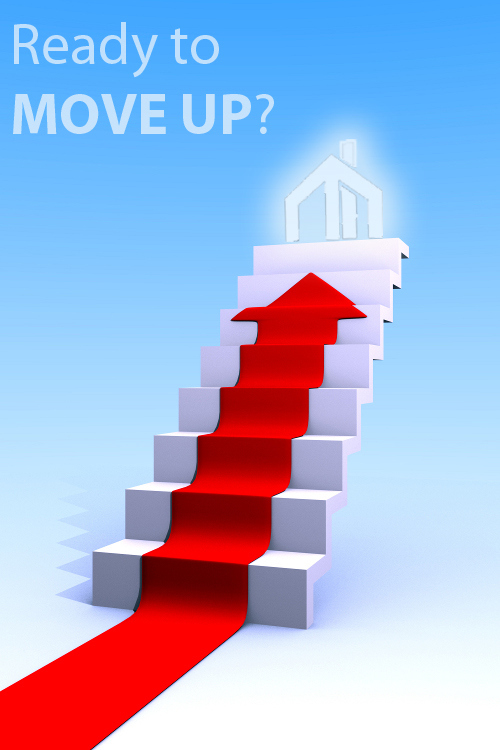 When it comes down to it there are many ways to “move up” and where there’s a will there’s a way. In the end no matter what you want to do you should always consult a professional. Don’t hesitate to call your loan officer, ask questions and look into what is going to be your best option to get you into that new home. If you have any questions or concerns please feel free to contact me at Ingrid.Quinn@cobaltmortgage.com or visit me at http://www.coblatmortage.com/ingridquinn . Categories: home buying, Loans | Tags: arizona, cobalt mortgage, cost to buy, down payment, first time buyer, home buyer, home loan, home mortgage, ingrid quinn, mortgage banker, move up, Phoenix loan officer, phoenix. cavecreek, real estate, scottsdale, scottsdale loan officer, scottsdale mortgage | Permalink. The number 1 question I get about using alimony and/or child support income to qualify for a home mortgage is what if you have not been receiving alimony for 12 months? Well, good news, many people do not have to wait that long. For these situations, I recommend pre-approval in advance of looking for a home. Our automated underwriting engines (DU or LP) will determine the length of time this type of income needs to be received for the loan approval. It is common for a divorcee to want to use alimony/child support income to purchase a home immediately after a divorce. • A copy of a divorce decree or separation agreement (if the divorce is not final) that indicates payment of alimony or child support and states the amount of the award and the period of time over which it will be received. A copy of the children’s birth certificates may be required. Note: If a borrower who is separated does not have a separation agreement that specifies alimony or child support payments, the lender should not consider any proposed or voluntary payments as income. • Any other type of written legal agreement or court decree describing the payment terms for the alimony or child support. • Documentation that verifies any applicable state law that mandates alimony, child support, or separate maintenance payments, which must specify the conditions under which the payments must be made. • Copies of the borrower’s bank statements showing the regular deposit of these funds. Review the payment history to determine its suitability as stable qualifying income. Each individual’s situation with the ex-spouse is different so it will be important to check with the lender you choose how to work it out. If you have further questions or comments, please contact me at Ingrid.quinn@cobaltmortgage.com or visit me at http://www.cobaltmortgage.com/ingridquinn. Categories: Uncategorized | Tags: alimony, applying mortgage, arizona, child support, cobalt mortgage, documenting, down payment, home buyer, Home Buying, home mortgage, home purchase, ingrid quinn, mmortgage, Phoenix loan officer, scottsdale, scottsdale mortgage | Permalink. Many homeowners would like to buy a new home and not have to manage the timing of a simultaneous close or would like to do some work on the new home without having to live there. The buyers are not sure they would even be able meet lender’s qualification guidelines carrying both properties. With a strengthening housing market and housing inventory low, why should a seller accept an offer from a buyer that has a house to sell? Who knows if the buyers are realistic and price their current home to sell, or will do all the right things to market and sell it quickly? Sellers wait to get a cash or non-contingent offer, because they know one will come along soon enough. There are rules to qualifying for a new home without selling your current home. You must be able to make the required down payment from savings or secured borrowing. The easiest way to qualify is to you have the income to carry both homes without the benefit of rental income to offset the payment of the current home. 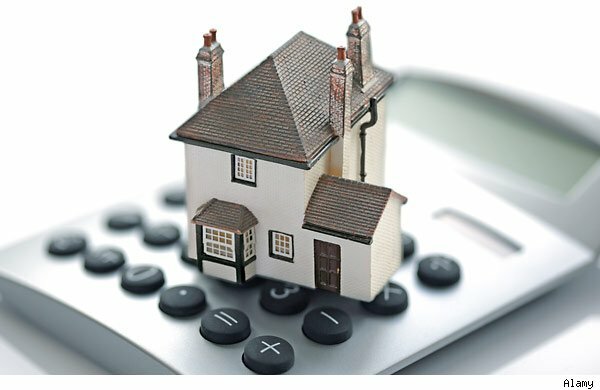 If the current home is owned free & clear, the lender will count the tax, insurance and HOA fees as monthly liabilities. We must receive a Desktop underwriting approval for the income to debt obligation ratios. Then we are good to go. There are asset reserve requirements. For a Fannie Mae or Freddie Mac conforming loan up to $417,000 or $625,500 in high cost areas of the country, and a buyer is converting their current home to an investment or 2nd home the reserve requirements for assets after close are if there is 30% equity in the converted residence, then 2 months of the new home payment and 2 months of the converted home payments are required. 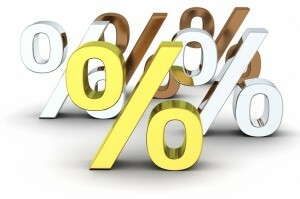 If there is not 30% equity, then 6 months payments for each is required to be in reserves. 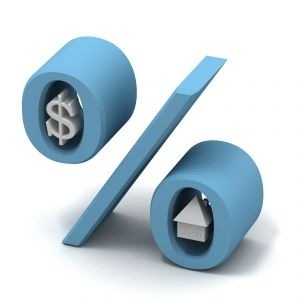 There are additional reserve requirements if the homebuyer will own more than 2 properties. Categories: Loans | Tags: applying mortgage, arizona, cobalt mortgage, cost to buy, down payment, first time buyer, home buyer, home purchase, home purhcase, homebuying, HUD program, ingrid quinn, paradisevalley mortgage, phoenix. cavecreek, scottsdale loan officer, scottsdale mortgage, USDA | Permalink.